Baseball season is back in full swing, and though much of the sports chatter has been about the Mets’ strong start and A-Rod’s return after a season-long suspension, we have our attention focused on the city’s two minor league teams–the Mets- affiliated Brooklyn Cyclones and the Yankees-affiliated Staten Island Yankees. Come June 19th, these two teams will be starting their seasons with a game against each other. 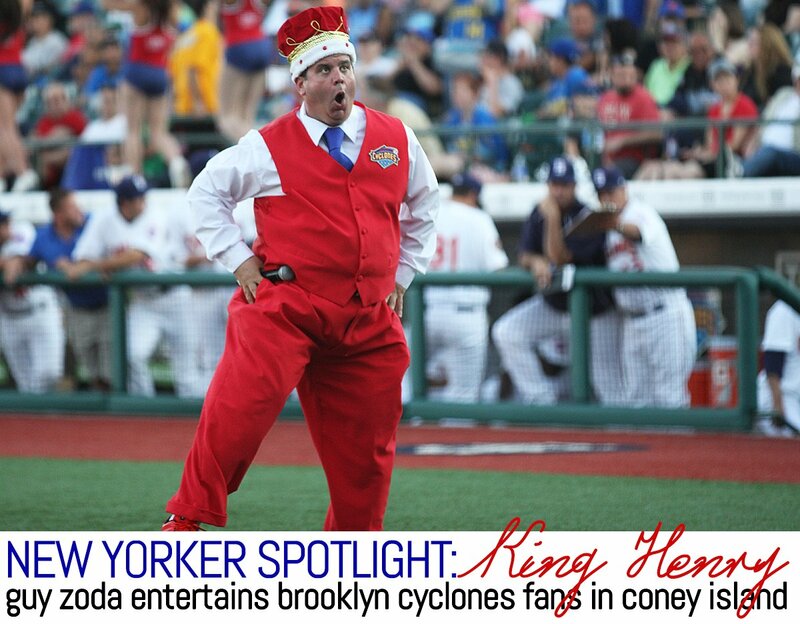 With the big game under two months away, Guy Zoda is getting ready to reprise his role in community outreach and promotions for the Brooklyn Cyclones, or, more specifically, as fan favorite King Henry. As an entertainer and performer, Guy came up with the character King Henry years ago. He produced and starred in a community access show called “The King Henry Show,” which aired in 30 cities from New York to Hawaii and won a home video award in 2008. 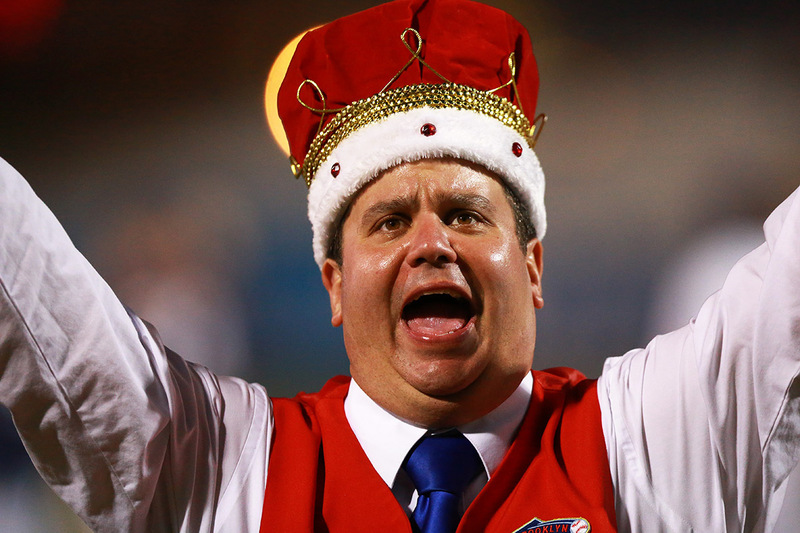 On a whim in the early 2000s, he donned his King Henry costume and made his royal presence known at a Cyclones game. What started out as fun for fans later turned into professional entertaining at home games and a community position with the team. We recently spoke with Guy about Brooklyn, his love for entertaining, and what makes minor league baseball special. Guy, or should I say King Henry, you are Brooklyn born and bred. How did growing up in the borough shape you? Growing up as an Italian American in Brooklyn gave me personality. It also gives you a little something around the edges. I would say being around different people, nationalities, and characters really contributed to being able to read people. At what point did you realize entertaining was the career for you? I always loved comedy and humor. When I was a kid, I listened to the Bob Newhart album. I remember watching Lucille Ball thinking I want to do that. And then, I’m going to say in the late 1970s, “Saturday Night Fever” was out, and I was in California with my family. I was 11-years-old doing the dance from the movie, and my Aunt Mimi said, “You’re an entertainer!” It was the first bite of attention and being a ham. From that moment on, I liked being the center of attention. 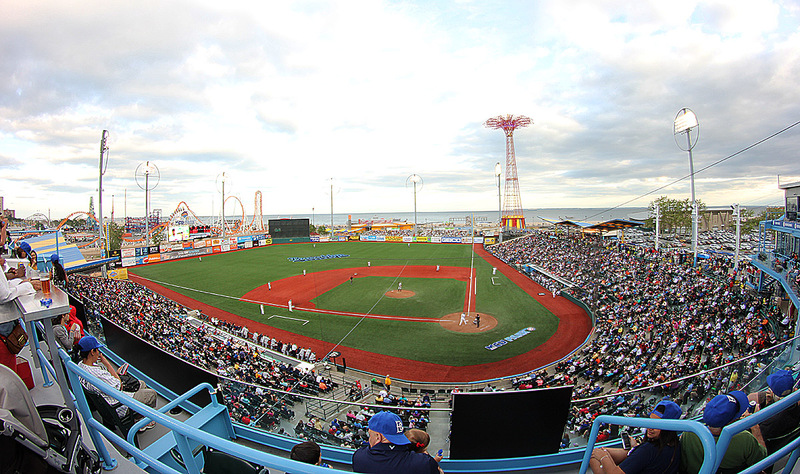 How did King Henry and the Brooklyn Cyclones connect? In 2001, I purchased season tickets. For a couple of games, I showed up dressed as King Henry and the cameras were on me. The next season I bought tickets again, and by then I knew all the camera guys. So they put the cameras on me in the sixth or seventh inning while I was eating a hot dog and being silly. The next game I came to the vendor guy asked if I could do something entertaining again for the cameras. It ended up just developing and snowballed. The fans liked me and I just became part of the games. Around 2010, I contacted the Cyclones and said, “Hey, you should hire me.” They took me on full time, and part of that includes working on their fundraising program for schools. During the games, how does King Henry get the crowd excited? My main job is getting the fans amped up. It’s the bottom of the 8th inning, there’s a man on first, a man on third, and I get the chant “Let’s go Cyclones, clap, clap, clap, clap” going. I’ll run up and down the steps in between innings. I work the crowd with jokes, magic tricks for the kids, start the wave and do silly stuff with the mascot like running the bases. Minor league baseball doesn’t always get its due. What makes it special? When people go to major league games, they go to see the rock stars. 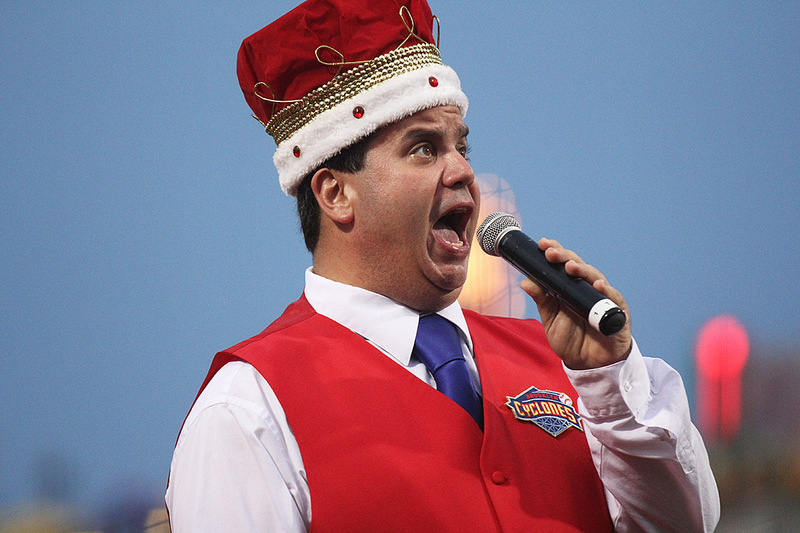 When people come to minor league games, they come for the experience and the entertainment. It’s really family friendly, especially price wise. I have a family of four and an MLB game can be too expensive. You can come here for less, and everyone has the best seat in the house in the heart of Coney Island. I’m hired for promotions and birthday parties and I’ve done television. One of my favorites is dressing up as Santa Claus at the restaurant at Rockefeller Center. Santa is one of my favorite characters. He is a rock star. Last year, I did 27 Santa jobs. What’s the best part of being an entertainer? My real job is getting up, getting ready, and getting in my car. When I’m actually performing and making a difference, especially for children with special needs, it’s not work. Making people happy is amazing. It’s a great thing. I can make an impact on people’s lives and it means a lot to me.